Since I bumped into my first british Aristocrat, a #66 not knowing what it was at the time, in a flea market, I've had a thing for these razors. Shiny, barberpole, kind of classy, and very well made, they always looked and felt very attractive to me. Much more so than their american cousins. So I have gone through my share of brit Aristocrats, but just with an interest in shaving. It would be nice to collect all the Aristocrat sets produced, but for me it is not worth the effort nor the expense. 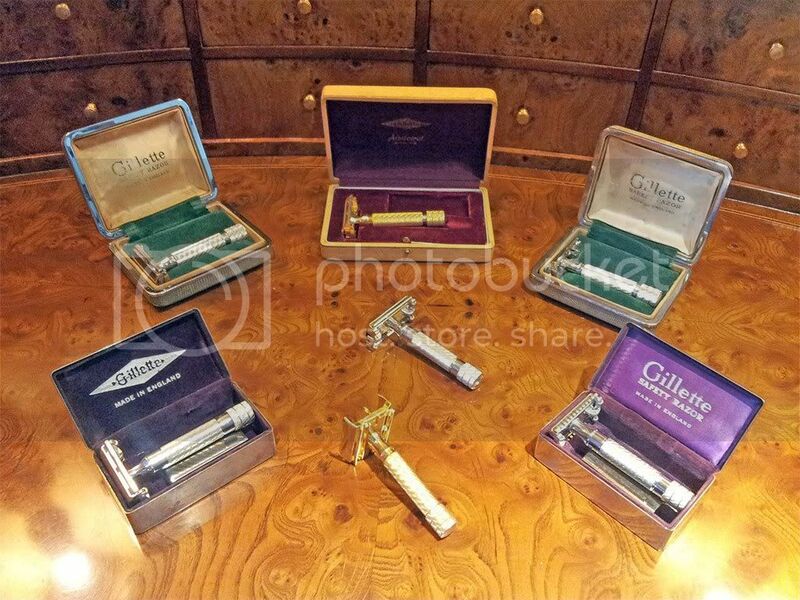 Instead I decided to collect the different shaves the english Aristocrat range offers. Initially I had a hard time making ends meat of all the numbers and variations and how they shaved, but by shaving and asking I came to terms with these razors. My search was suddenly reduced my to just 4 razors. Yes, there are well over a docen Aristocrat models out there, but in reality just 4 different heads. Just the same as in other models, lots of different tech models which share less that half a docen heads. This makes my hunt for different flavored shaves much easier. 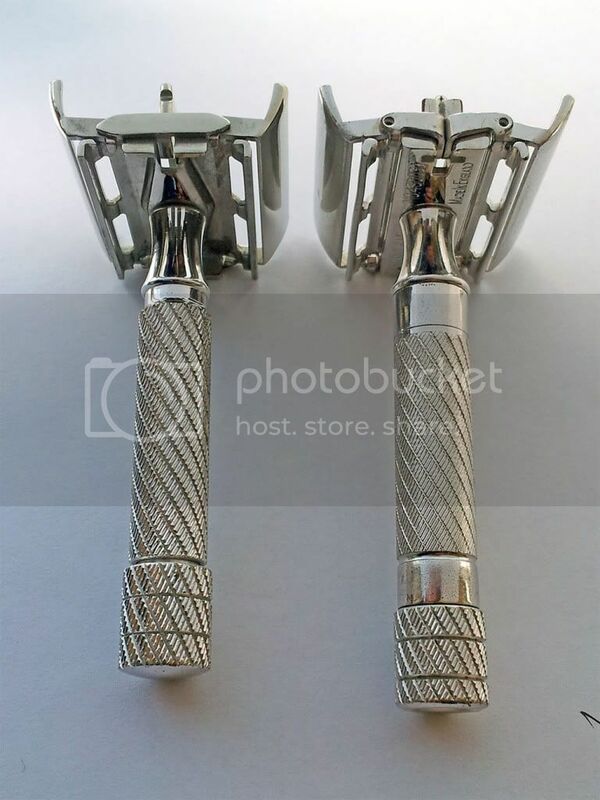 So If you are not a collector, but just a shaver, and want to target your seach of these wonderful razors not by model but by shaving flavour ... here is a different way to look at the british Aristocrats. These aristocrats come with open and closed comb heads, and with american or british TTO's. I find american TTO's very easy to service but less smooth. Trying to repair a british TTO always represents taking a big risk. On the other hand, the brits have the smoothest TTO operation of the lot. If in good condition it is just like silk. With TTO's open (brit on left, US on rigt) the knob in the brit moves towards the handle, while in the US TTO stays in place. There are about 9 diferent models of open comb aristocrats. You may find them silver, rhodium, or gold plated, and in different cases, receiving each a different denomination. Choose your flavour of plating and case, because they all share the same head and sport the same US TTO. Therefore they feel and shave the same. In my opinion this is the most aggressive shaver of the range. 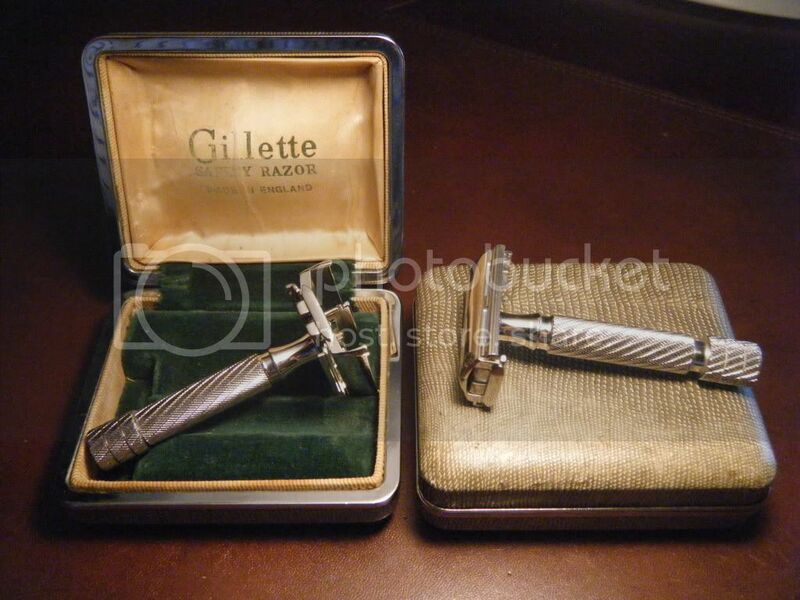 We are talking Gillette though, so it is quite smooth and forgiving ... one of my favorites. 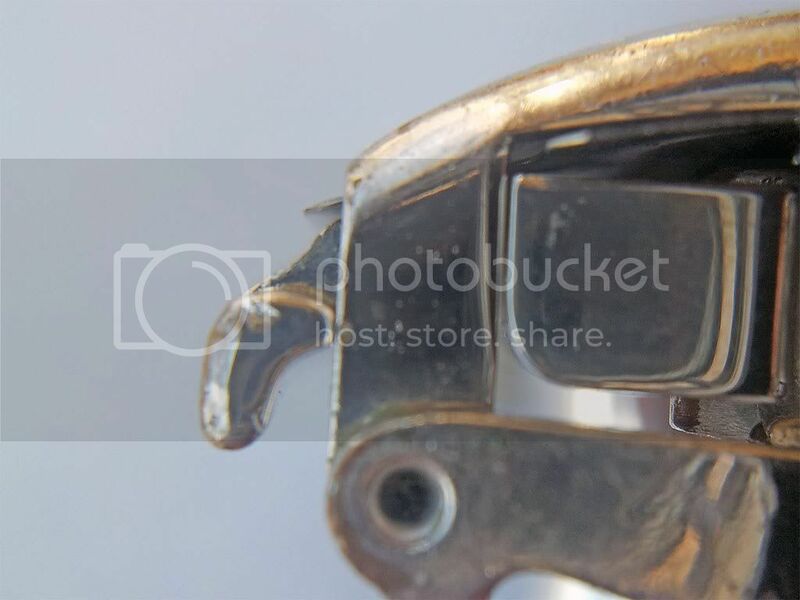 It has a US TTO, a flat base plate, an un-notched center bar (with or without wings), and no caps. Here we may find bout 10 different models, but only 3 different heads. 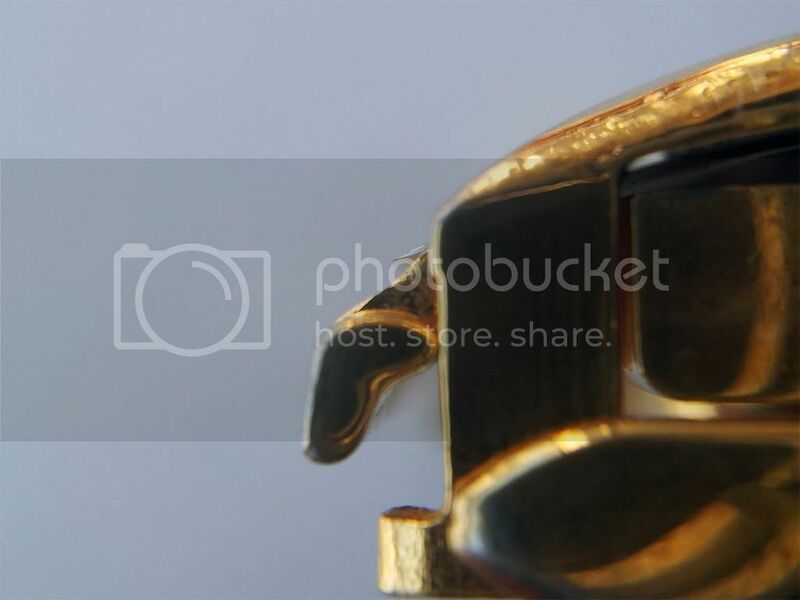 Again you may find rhodium and gold plating, different cases, and except one all of them with british TTO's. The head closely resembles that of the #15 in closed comb configuration. Shaves are also very similar, although not as smooth as #15. It has a flat base plate, with a un-notched center bar, and caps, with a US TTO. At 82 grams, this is the heaviest of the lot, and posibly has the best balance. It is clearly more benign that the previous ones and exceptionally smooth. It has the ultrasmooth british TTO, a flat base plate with a notched center bar, and end caps. You can find the #16 in gold or rhodium plating. This is probably the easiest british Aristocrat to find, and the least aggressive (although paired with the sharpest blades it does a good job). These have a triangular base plate, so they don't feel as head heavy as the rest, a brit TTO, and a notched center bar and caps. 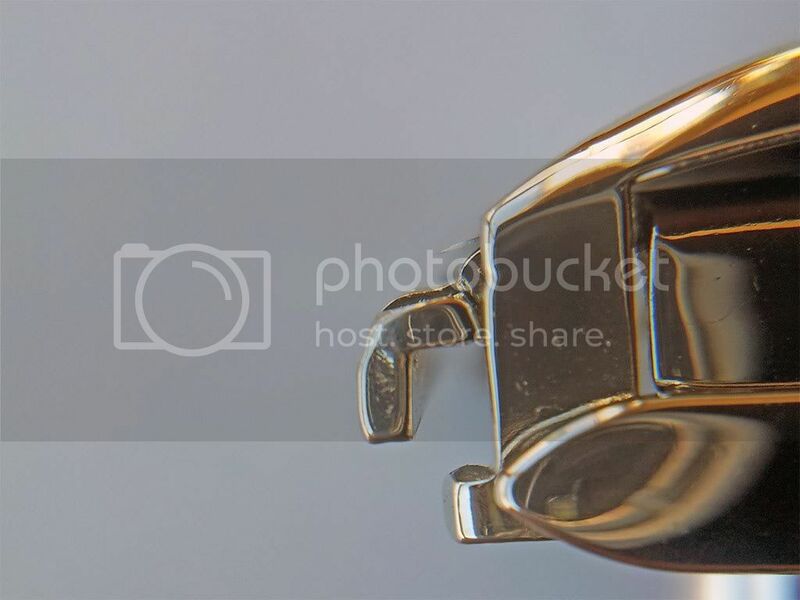 These can be found in gold, rhodium, and even a nickel plated one (which because of being nickel, a lesser class I suppose, was not called Aristocrat). If I were to rank them by aggressivenes, #15 and #21 would be at the top, at the bottom would be the #66 group, and the compromise would be the #16. Buy smoothness of operation I prefer the british TTO's. 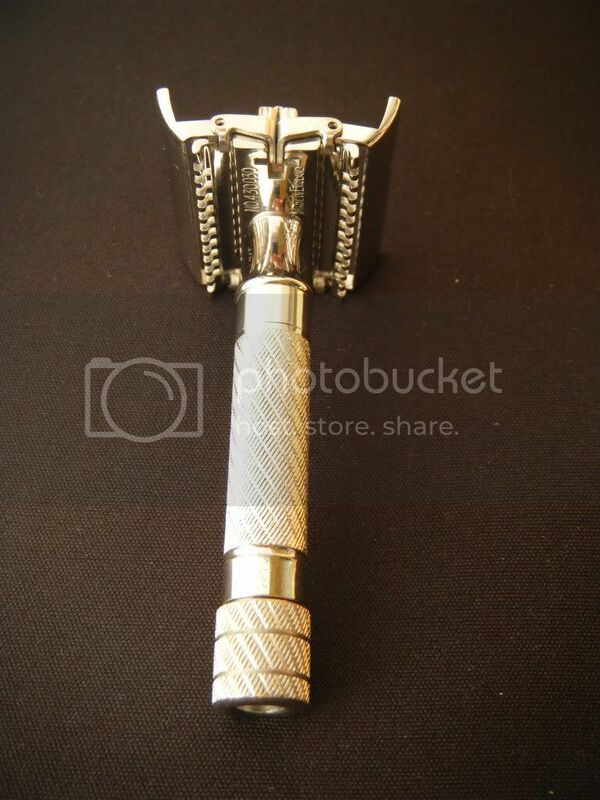 Would love to hear imput from those have compared the shaves of these razors. So if you are in the hunt for a british Aristocrat, or bump into one, and your interest is in its shaving chracteristics, it may help to remember which is which and avoid ending with duplicate shaves. 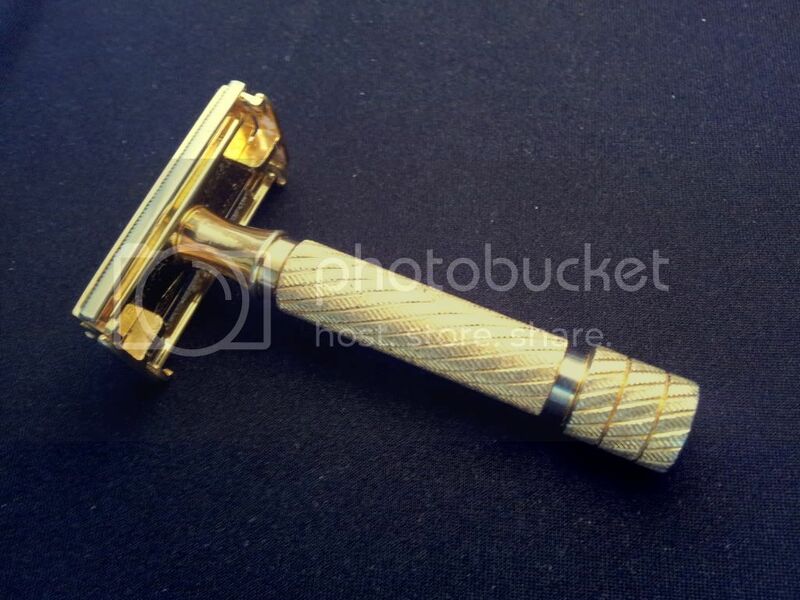 If you come across one of these razors, or already have one in your nook, you may very well go for another model that is easier to find, less expensive, or at least not end up with the same head. 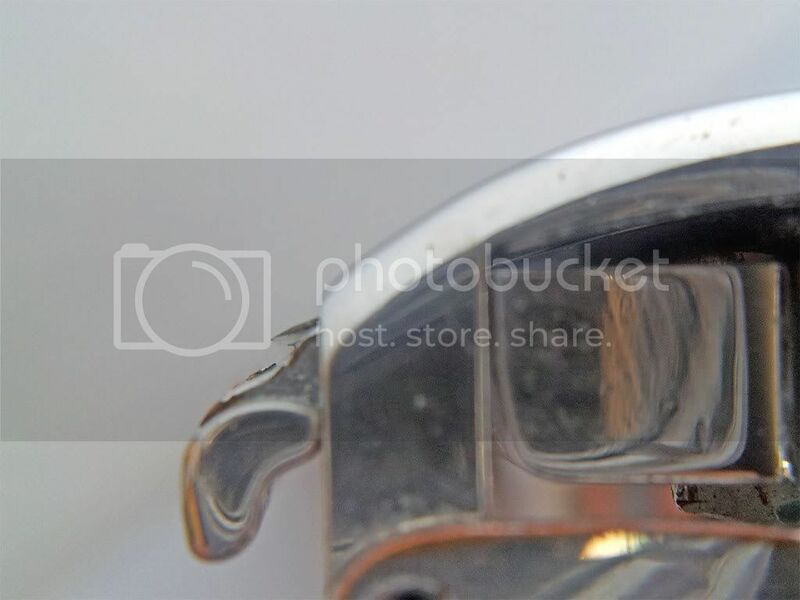 Of course, I have no way of certifying this information, but from all I have seen, shaved, and inquired with serious collectors, this is the conclusion and how I ended up looking at these razors from ashaving perspective. Tony, that is an excellent synopsis of the Aristocrat family. Thank you for a through comparison of the models with a wonderful set of pictures. Excellent review, great pictures too. Tony, this is an awesome primer on the best family of shavers Gillette ever made. Thanks for sharing. Wow... very helpful. I'll check back on this thread for reference. Incredible summary of them and beautiful collection! That is a wonderful post! Thank you for sharing this! I'm the happy owner of a British Aristocrat #66, that I found on an antique market at an irresistible good price. The Aristocrats are exquisite razors. 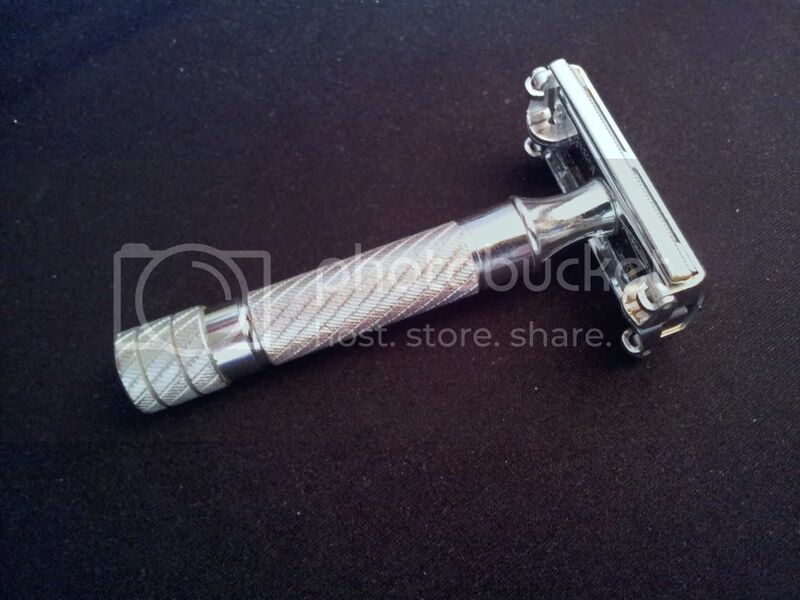 Your collection exemplifies the mystique of these razors. Well done, sir. You have a treasure. I have been enjoying Tony's post over at foroafeitado,but now reading him in english (his native language) is another pleasure to enjoy! Thanks my friend,once again you have created one of those post that I never get tired of reading it. Thanks for the great history lesson! I have an Aristocrat Jr. and it's easily my best TTO. Thank you all for your comments ... had this post in my head for some time and it finally clicked. Congratulations on a fantastic collection and thank-you for your most informative post. With such beautiful razors I'm sure your son is likely to share your passion. Thanks for posting this up Tony. It's a very informative guide. Love it, thanks for sharing. Never knew the #15 came in silver plate. Here's some uncommonly seen Aristocrats- my nos #70. Great post, very informative! Thank you for the effort, Tony SC! EXCELLENT write up!! Can we include this at razorarchive.com?